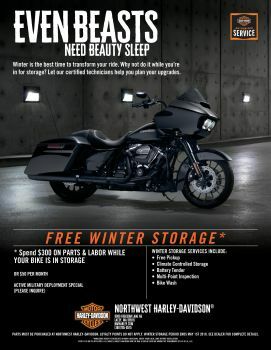 *Parts must be purchased at Northwest Harley-Davidson. Loyalty points do not apply. Winter storage period ends may 1st, 2018. See dealer for complete details. Spend $300 on parts and labor while your bike is in storage or $50 per month.